Prior to making the Brandon Drury trade, the Yankees were discussing a deal with free agent infielder Neil Walker, reports Billy Witz. Walker, who is currently participating in MLBPA’s spring camp for free agents, said he wanted a multi-year contract and was “certainly willing” to play first and third bases in addition to his usual second base. 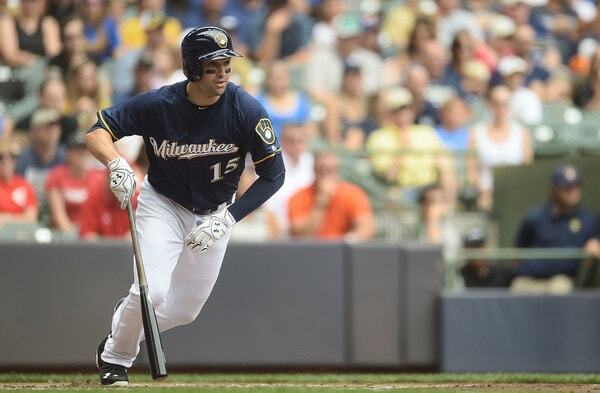 The 32-year-old Walker hit .265/.362/.439 (114 wRC+) with 14 homers in 448 plate appearances for the Mets and Brewers last season. He’s been a +2 fWAR player in each of the last eight seasons, yet he still can’t get a job. Nick Cafardo says the Royals offered Walker a minor league deal, which is ridiculous. I’m not saying he deserves a long-term, big money contract. But like half the league could use this guy. Anyway, Walker was my top infield choice because he’s a switch-hitter, he has a history of getting on base, and you could stick him at second base or at the corner infield spots. And you know what? The Yankees could still sign him! Drury is a pre-arbitration-eligible player making something close to the league minimum, meaning whatever money the Yankees were willing to give Walker is still available. Plus second base is still open. Realistically though, the Drury trade all but closes the door on Walker, which is fine. I thought Walker was the best option. Drury is basically the next best thing. The Yankees still have $22M or so to spend under the $197M luxury tax threshold. Apparently they were willing to spend some of it on Walker. I can’t help but feel like the Yankees will redirect those dollars to pitching now.